The harm reduction approach has and continues to be heavily debated within the context of substance use. Despite the substantial evidence indicating its effectiveness in reducing harms and improving health outcomes, there continues to be a significant knowledge gap around what harm reduction is. With the sharp increase in drug overdoses and deaths leading to the current public health emergency in B.C., harm reduction approaches continue to be scaled up. As nurses caring for individuals who use substances, what does it mean to practice under a harm reduction approach?. Increase nurses' understanding of harm reduction approaches within the context of substance use. Danielle has worked as a nurse at Insite for the last four years, first as a Clinic Nurse and for the last year and a half as the Clinical Coordinator for Insite, supervised injection site, and Onsite Detox. Danielle was drawn to a career in nursing while volunteering in harm reduction programs in Vancouver's Downtown Eastside. Her work at Insite and Onsite provides an outlet for her passion to decrease the negative impacts that discrimination and marginalization have on people who use drugs and/or live in poverty. 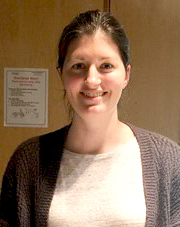 Recently, Danielle has moved into the interim position of Clinical Practice Lead for Primary Care in VCH Vancouver Community.